A few weeks ago, we were approached via email by a PR company, that offered us the opportunity to sample The Polish Bakery’s Chai Seed Bread, I must say, we were very excited about this as we’re already big fans of seeded bread and we’ve noticed that chai seed is becoming the recent food craze – so of course we had to accept! “The Polish Bakery was founded in 2003 and we are the oldest Polish bakery in the UK. We are a traditional company and attach a great importance to the quality of our bread. Just like we care about the family, we take care of our bread. 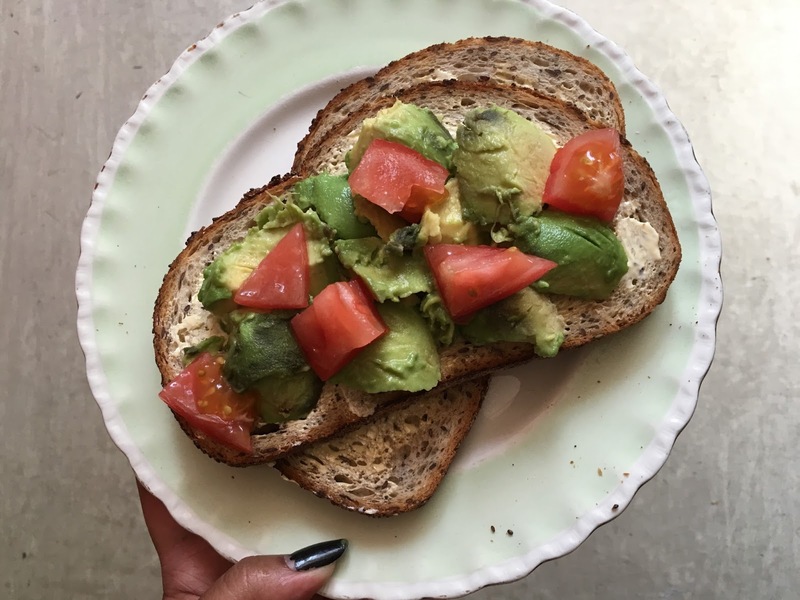 The Chai Seed Bread already has so much potential, we’ve both tried this bread toasted and although we thought the edges became a bit too hard, still really good – paired it with some avocado and tomatoes for breakfast one morning – so so good and super healthy I may add! This bread is actually nice for making a sandwich with, the soft moist bread with a bit of crunch texture from the chai seeds, give it the perfect match for a nice chicken ham and salad filled sandwich for a picnic or even as a homemade packed lunch to bring to work! Next is these two rounded breads – one is Rye Bread and the other is Rye Bread with Cranberries. The picture above, we used the normal Rye Bread, toasted, with chive cream cheese with some smoked salmon on top – so so delicious, could be made for appetisers, starters or even with a few more – as a main meal. Now for the sweet stuff! The Vienna cheesecake and the apple cake! We were both so excited to try these, but we had to wait until after dinner, just to make it right. After cutting our fair share of each, we realised there was way too much left over for the both of us and it was only fair to share these amazing products with the family. James and I personally loved the apple cake more than the Vienna cheesecake – both so good, but one more loved than the other. James did say before tasting both, he thought he’d prefer the cheesecake more to the cake. I personally think it comes down to preference for me, I’m a texture person and I wan’t a fan of the cheesecake texture if that makes any sense, but nevertheless, super moist and strong in flavour!